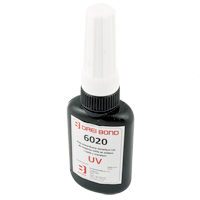 LOCA Drei Bond 6020 t it's high quality of LOCA glue dedicated for LCD and Touch screen connetion. Higher resolution and greater contrast ratio is required in modern TP-LCD application such mobile phones and flat panel computers. The traditional OCA tape cannot fulfill the needs now due to the refractive index of OCA tape didn't quite match the TP and LCD glass, and therefore reduce the viewability under sunlight as the light reflected and the durability of OCA tape is poor. Solution it's LOCA! LOCA Drei Bond 6022 t it's high quality of LOCA glue dedicated for LCD and Touch screen connetion. Higher resolution and greater contrast ratio is required in modern TP-LCD application such mobile phones and flat panel computers. The traditional OCA tape cannot fulfill the needs now due to the refractive index of OCA tape didn't quite match the TP and LCD glass, and therefore reduce the viewability under sunlight as the light reflected and the durability of OCA tape is poor. Solution it's LOCA! 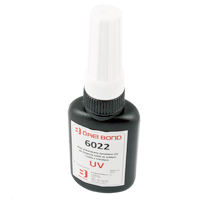 LOCA Drei Bond 6099 - gel (300 ml) t it's high quality of LOCA glue gel dedicated for LCD and Touch screen connetion. Higher resolution and greater contrast ratio is required in modern TP-LCD application such mobile phones and flat panel computers. The traditional OCA tape cannot fulfill the needs now due to the refractive index of OCA tape didn't quite match the TP and LCD glass, and therefore reduce the viewability under sunlight as the light reflected and the durability of OCA tape is poor. Solution it's LOCA ! 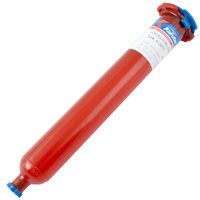 Because of its high viscosity of the adhesive does not flow from vertical surfaces . 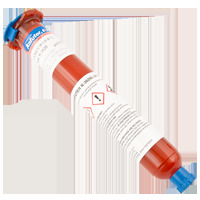 LOCA LCD Frame Sealant Mechanic MCNUV-706 10ml is a special type of glue hardened by UV preventing glue flow into border when you use LOCA glue (seal LCD border). From now one you can make repairs with glue LOCA not only in the matrix AMOLED but also LCD / TFT. UV LOCA Kafuter K-3626 (Liquid Optical Clear Adhesive) Glue (50 g) it's high quality of LOCA glue dedicated for LCD and Touch screen connetion. Higher resolution and greater contrast ratio is required in modern TP-LCD application such mobile phones and flat panel computers. The traditional OCA tape cannot fulfill the needs now due to the refractive index of OCA tape didn't quite match the TP and LCD glass, and therefore reduce the viewability under sunlight as the light reflected and the durability of OCA tape is poor. Solution it's LOCA ! 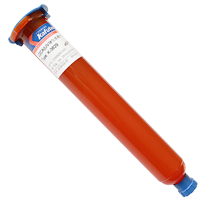 UV LOCA Kafuter K-3626L (Liquid Optical Clear Adhesive) Glue (50 g) it's high quality of LOCA glue dedicated for LCD and Touch screen connetion. Higher resolution and greater contrast ratio is required in modern TP-LCD application such mobile phones and flat panel computers. The traditional OCA tape cannot fulfill the needs now due to the refractive index of OCA tape didn't quite match the TP and LCD glass, and therefore reduce the viewability under sunlight as the light reflected and the durability of OCA tape is poor. Solution it's LOCA ! 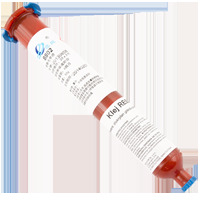 UV LOCA Kafuter K-3629 (Liquid Optical Clear Adhesive) Glue (50 g) it's high quality of LOCA glue dedicated for LCD and Touch screen connetion. Higher resolution and greater contrast ratio is required in modern TP-LCD application such mobile phones and flat panel computers. The traditional OCA tape cannot fulfill the needs now due to the refractive index of OCA tape didn't quite match the TP and LCD glass, and therefore reduce the viewability under sunlight as the light reflected and the durability of OCA tape is poor. Solution it's LOCA ! 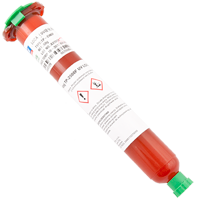 UV LOCA Kafuter K-3670 (Liquid Optical Clear Adhesive) Glue (50 g) it's high quality of LOCA glue dedicated for LCD and Touch screen connetion. Higher resolution and greater contrast ratio is required in modern TP-LCD application such mobile phones and flat panel computers. The traditional OCA tape cannot fulfill the needs now due to the refractive index of OCA tape didn't quite match the TP and LCD glass, and therefore reduce the viewability under sunlight as the light reflected and the durability of OCA tape is poor. Solution it's LOCA ! 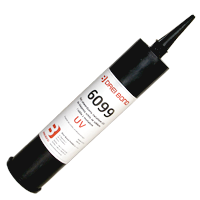 UV LOCA RE8802 (Liquid Optical Clear Adhesive) Glue (50 g) it's high quality of LOCA glue dedicated for LCD and Touch screen connetion. Higher resolution and greater contrast ratio is required in modern TP-LCD application such mobile phones and flat panel computers. The traditional OCA tape cannot fulfill the needs now due to the refractive index of OCA tape didn't quite match the TP and LCD glass, and therefore reduce the viewability under sunlight as the light reflected and the durability of OCA tape is poor. Solution it's LOCA ! 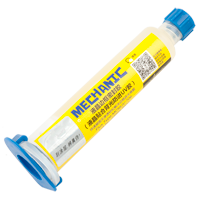 UV LOCA TP-2500F (Liquid Optical Clear Adhesive) Glue (50 g) it's high quality of LOCA glue dedicated for LCD and Touch screen connetion. Higher resolution and greater contrast ratio is required in modern TP-LCD application such mobile phones and flat panel computers. The traditional OCA tape cannot fulfill the needs now due to the refractive index of OCA tape didn't quite match the TP and LCD glass, and therefore reduce the viewability under sunlight as the light reflected and the durability of OCA tape is poor. Solution it's LOCA ! UV LOCA YYC3185/YC3186 (Liquid Optical Clear Adhesive) Glue (50 g) it's high quality of LOCA glue dedicated for LCD and Touch screen connetion. Higher resolution and greater contrast ratio is required in modern TP-LCD application such mobile phones and flat panel computers. The traditional OCA tape cannot fulfill the needs now due to the refractive index of OCA tape didn't quite match the TP and LCD glass, and therefore reduce the viewability under sunlight as the light reflected and the durability of OCA tape is poor. Solution it's LOCA! 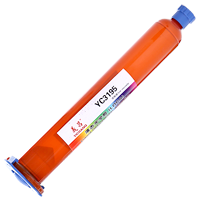 UV LOCA YC3186 (Liquid Optical Clear Adhesive) Glue (30 g) it's high quality of LOCA glue dedicated for LCD and Touch screen connetion. Higher resolution and greater contrast ratio is required in modern TP-LCD application such mobile phones and flat panel computers. The traditional OCA tape cannot fulfill the needs now due to the refractive index of OCA tape didn't quite match the TP and LCD glass, and therefore reduce the viewability under sunlight as the light reflected and the durability of OCA tape is poor. Solution it's LOCA! 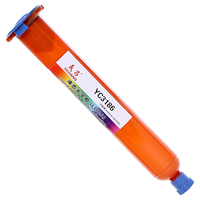 UV LOCA YC3195 (Liquid Optical Clear Adhesive) Glue (50 g) it's high quality of LOCA glue dedicated for LCD and Touch screen connetion. Higher resolution and greater contrast ratio is required in modern TP-LCD application such mobile phones and flat panel computers. The traditional OCA tape cannot fulfill the needs now due to the refractive index of OCA tape didn't quite match the TP and LCD glass, and therefore reduce the viewability under sunlight as the light reflected and the durability of OCA tape is poor. Solution it's LOCA ! 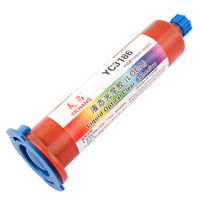 UV LOCA YC3195LV (Liquid Optical Clear Adhesive) Glue (30 g) it's high quality of LOCA glue dedicated for LCD and Touch screen connetion. Higher resolution and greater contrast ratio is required in modern TP-LCD application such mobile phones and flat panel computers. The traditional OCA tape cannot fulfill the needs now due to the refractive index of OCA tape didn't quite match the TP and LCD glass, and therefore reduce the viewability under sunlight as the light reflected and the durability of OCA tape is poor. Solution it's LOCA ! 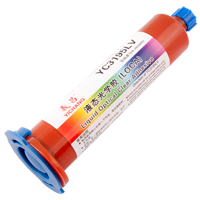 UV LOCA YC3195LV (Liquid Optical Clear Adhesive) Glue (50 g) it's high quality of LOCA glue dedicated for LCD and Touch screen connetion. Higher resolution and greater contrast ratio is required in modern TP-LCD application such mobile phones and flat panel computers. The traditional OCA tape cannot fulfill the needs now due to the refractive index of OCA tape didn't quite match the TP and LCD glass, and therefore reduce the viewability under sunlight as the light reflected and the durability of OCA tape is poor. Solution it's LOCA !